/ Search results for "coal ash"
Good morning, before I delve into the weekly recap of Contamination’s Greatest Hits, I want to tell you what I just heard at the NC Chamber of Commerce’s Agri-Business conference this morning. Instead, Starling said, “moments later a man entered the Oval Office carrying a silver platter” with a Diet Coke for the president. First up, a perennial favorite since 2014: Coal ash. Sampling by Upper Neuse Riverkeeper Matthew Starr near the inactive coal ash basins at the HF Lee plant, showed arsenic levels in the Neuse River, the drinking water source for Goldsboro, at 186 parts per million, far above the drinking water standard of 10 ppm. 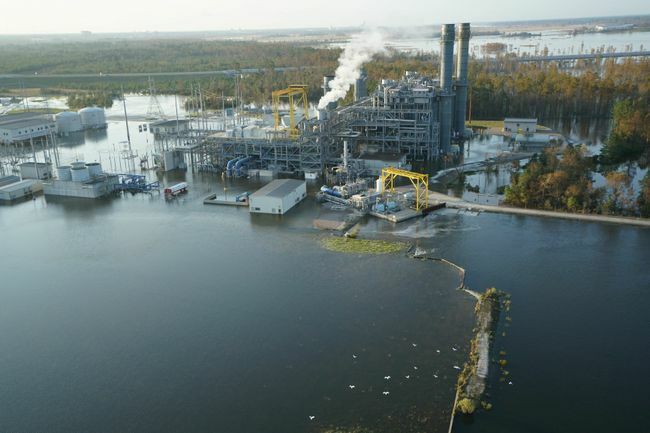 Near the Sutton plant, whose lake drains into the beleaguered Cape Fear River, also a major drinking water supply, the results were an off-the-charts 710 ppm. Meanwhile, Duke Energy and the NC Department of Environmental Quality each did its own testing near both HF Lee and Sutton. DEQ found elevated levels of copper near Sutton, but both the agency’s and the utility’s samples indicated arsenic contamination was below drinking water standards there and at HF Lee. How can these results be so contradictory — one set menacing and the other hunky-dory? Well, the variations can hinge on several factors: where and when the samples were taken, and how far into the water column — in other words, how deep the samplers plunged the bottle. Sediment, aka dirt in the riverbed, would be even more telling, because the contaminants might have nestled there. But sediment rarely stays put. Boats, storms, wind can all stir it up, sending contamination downstream. 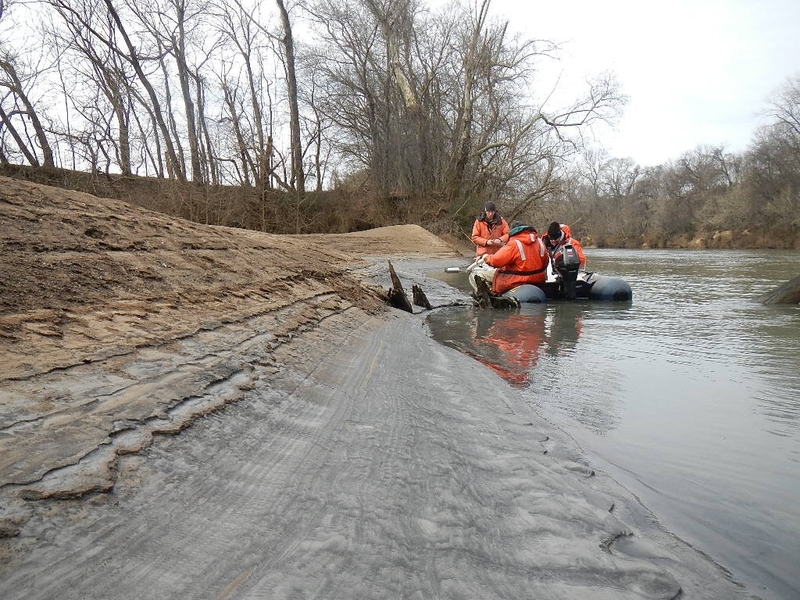 DEQ and Duke, and the riverkeepers, will continue to monitor potential contamination in the rivers. Historically, coal-fired power plants have been major emitters of mercury. When the mercury falls back to the Earth and enters water, it converts to methylmercury. Fish take up methylmercury, and when people eat fish, they also get a dose. Mercury can harm the nervous system, including that of a developing fetus, which is why pregnant women are advised to restrict their intake of certain mercury-prone species, such as tuna. There are fish advisories for mercury contamination in waterways throughout North Carolina for everyone. Who thinks weakening mercury rules is a good idea? The New York Times breaks down the issue, but essentially the EPA, led by former coal lobbyist Andrew Wheeler, reasons that the cost to industry to adhere to the rule is greater than the public health costs if the rule is rolled back. I’d like to see the math on that, right after I cough up this lung. Nonetheless, the score is Industry 1, Health Benefits 0. Hog farms often receive the most attention, unlike poultry farms, which escape necessary scrutiny because they are virtually unregulated. These farms that use “dry litter” (which no longer stays dry in a flood) aren’t required to have a permit. We don’t know where they are or who might have complained about them. On the issue of hog farms, the Waterkeeper Alliance is suing the EPA over exemptions bestowed upon these industrialized operations. Unlike many other polluting industries, these farms aren’t required to inform state and local officials about dangerous levels of pollutants that could be emanating from the operations.. For many industries, these disclosures are required under the Emergency Planning and Community Right to Know Act. However, the Fair Agricultural Reporting Method Act gives the livestock industries a pass on reporting air emissions — ammonia, sulfur dioxide, particulate matter — that can exacerbate respiratory illness of those living near the farms. Living near these concentrated animal feeding operations might shorten your lifespan, according to a September article published by Duke University scientist Julia Kravchenko and four of her colleagues in the NC Medical Journal. Somebody, please push the red button. No, the other one, where I get to fall through the floor.